and so much more .. you can view at BBB, Angie’s List, Google as well as our face book page and new web site listed above. I received a voicemail from Angie’s List that our business has again (4th consecutive year, running) received the Angie’s List Super Service Award not only in Animal & House sitting, but this year our first full year doing boarding, also in Animal Boarding & Kennels! “Holidays are Booking up FAST” – October 5 2016 News UpdateWe are feeling so blessed, how much our customers appreciate their dogs being able to stay in a home environment and never be crated or kenneled or in a stressful environment of lots of unknown people, dogs, coming and going, noise, barking and then being left alone for up to 12 hours overnight when there are no workers around. Your dogs sleep in our room with us, and have constant supervision, attention, love, care, socializing in a very comfortable home. That all being said, I just updated my calendars and we are already almost completely full for Thanksgiving and Christmas holidays. We will not be available for any services from Jan 20 through Feb 5 2017, and I can’t believe the year has gone by so fast that I am already posting news for next year. We do on occasion get a cancelation so if you are interested in the holidays this year for daycare, boarding or even pet sitting in your home (select areas only) contact us now so we have plenty of time to complete evaluations, assessments, consultations and get your spot reserved. Happy Friday (Sept 2 2016) and wishing all an amazing, safe, happy, fun filled Holiday Weekend! Please be advised that we Pampered Pets & People LLC and Pampered Pooches Playground are fully booked for this holiday and through Sept 19 for all services. We are starting to book for Thanksgiving and Christimas Holidays so if interested in getting your pets to become part of our pampered family either in your home pet sitting or in our home daycare and no kennels all inclusive, one rate boarding we do need some lead time for pre evaluations, consultations and assessments! Because we focus on quality over quantity, we also limit the number of customers we take on a daily basis and we do book up during busy seasons and holidays quickly. Don’t let your pets opportunity pass by – contact us TODAY and get all the information you need! Thank you for reaching out. Our Executive Specialist has looked into your situation and listened to the phone call you received. It appears that there may just be some misunderstandings regarding the information provided. Your reviews, ratings, and Super Service Awards will display on your profile. Your business will be a part of search results when members search in the areas you service that have recent reviews. You will show up in the search results differently. Companies who are advertising will have a badge as being ‘Angie’s List Certified’. Companies who are not advertising will show by name, grade, and Super Service Award. The number of reviews your company has will not show up in the search results, but are present once the member clicks into your profile. Members also have the ability to search by the number of reviews a company has, which will yield different search results from a simple category search. The representative was correct that this is an effort to funnel business to companies who have invested in Angie’s List, however if a member searches for your company specifically, they will have no issues locating your profile and information. It is now official – Our Third Consecutive Year earning the prestigious nationally recognized Super Service Award with Angie’s List! Pampered Pets & People LLC has earned the service industry’s coveted Angie’s List Super Service Award, reflecting an exemplary year of service provided to members of the local services marketplace and consumer review site in 2015. ½ day evaluation and assessment – 2-4 hour evaluation with your dog to determine if your dog is a good fit. What is coming new for 2016? More discounts, higher referral bonuses, and additional savings! We are now adding discounts for all of law enforcement, paramedics, military reserve, teachers, nurses and fire fighters on top of our already in place discounts on services for Seniors, Military, Veterans, and Students. We truly value what you have all done and do to educate and protect us and our children. If you have pet owner family, friend, neighbor or yourself that live in our working areas – and are one of these special people please pass this information along and take advantage of our 5% discount on all of our services we offer,every day, all the time for all Law Enforcement, Paramedics, Military, Veterans, Military Reserve, Teachers, Students, Seniors, and Nurses! We believe we are the only local pet care service providers offering every day, every service we offer discounts to all of these groups of wonderful people! Not only that, but we also offer the BEST referral program as well $10 up to $40 per booked referral and you can use referral credits towards services or take it as cash. We don’t know of any other professional pet and home care provider that offers all of these perks! We are Pampered Pets & People LLC pamperedpetsandpeople.com and Pampered Pooches Playground Play n Stay (free roam, no kennels, home away from home boarding in our home) . We have also lowered our Holiday surcharge significantly, and although we do charge a little extra for Holidays, please know that work EVERY holiday and EVERY weekend so you can get away and spend time with your family and friends while we are working hard for you. 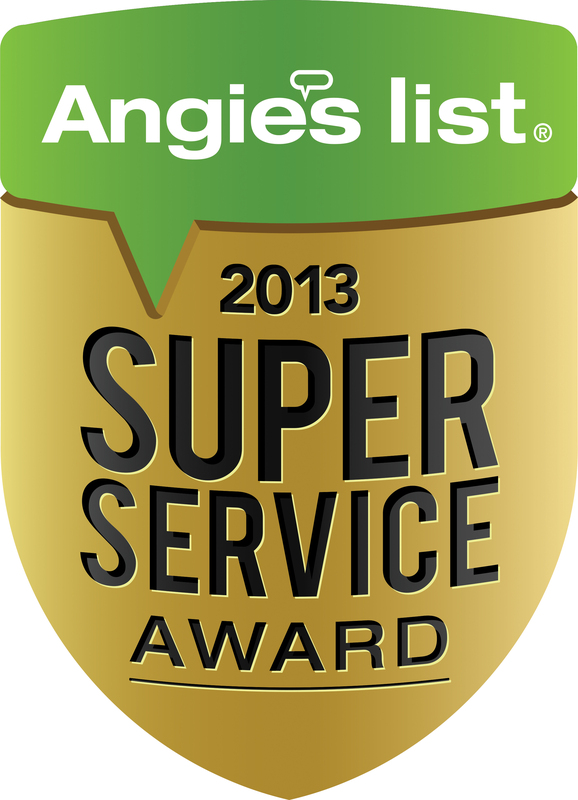 It is Angie’s List Super Service Award consideration time again! We are proud recipients consecutive years for the prestigious Nationally Recognized Angie’s List Super Service Award for both 2013 and 2014. This honor is only given to 5% of businesses and we are also very proud to announce that we are in line again this year (2015) to potentially receive this honor again, for a third consecutive year! We want to say Thank You to all of our loyal and completely satisfied customers for your trust and confidence in our top quality care and for all the wonderful Angie’s List Reviews. We are also Accredited A+ with the Better Business Bureau and have all A rated and positive reviews for the last 7 years while in business! It can be very challenging to rate dog boarding on “price” unless you are comparing 100% apples to apples. I just want to personally touch on this subject and help others understand our pricing structure and the differences of what we offer compared to kennels and other boarding facilities and if we are a bit higher in our boarding and why that is. In our experience the difference has only been within $5 per night if any difference at all when you also consider we don’t charge for any “extra’s” or late drop off’s or pick up’s, or require additional nights, we are never “closed”, and your dogs are not left alone after hours which many “kennels” are not staffed after 7pm until 7am. Occasionally we get asked about our pricing structure, and every year we diligently research other local facilities and their prices for boarding. We are consistently within $5 per night rates of other boarding kennels. The difference that we provide is that we have no kennels. The dogs are not restricted to gated off spaces in our homes, nor do we have any kennels. It is free roam in the entire house, plus the dogs get their own puppy living room additionally where people and cats don’t go! We have a 4200 sq foot playground for the dogs which have pools, sprinklers, ramps, tunnels, obstacles to play on or around. They get exercise, playtime and sunshine as often as weather permits or at least every 2 hours. We do not charge for extra outdoor potty breaks, exercise or outdoor time. All other boarding kennels and facilities we have researched locally have set drop off and pick up hours, have certain days they are closed for drop off or pick altogether, or charge if you need to pick up or drop off “after hours”. All of these will cost you more. We are confident that once you experience compare “apples to apples” in all of these factors, experience the differences of what we have to offer, that even if we are a bit higher (per night rate) that you will find our flexibility, no additional charges, no set hours other than to sleep, never closed and your dogs get 24/7 supervision and more – that we are actually not more expensive and even if we are, it will be no more than $5 and the differences are so worth it and your pampered pups deserve all the extra’s we provide! Now don’t take this wrong, there are MANY qualified wonderful places locally to board your dogs, my only point in this post is to address when comparing “price”, if you are looking at just the per night rate you may not be taking into consideration many other factors or costs. Also, to consider the facility and environment your dog will be staying in and compare the “cost” or value of that. Such as; Is your dog confined to a 10×10 kennel and only get outside 2-3 times a day for 30 minute potty breaks, or is it entirely an indoor facility and they don’t get outside time? Do they get adequate exercise and get to run full out and play or do you have to request “walks” and get charged extra for that. Again, when calling around for “price” also take into consideration the cost or value of everything that is being offered or being charged for. I want to give everyone as much notice as possible, we are tentatively planning our annual vacation Oct 30-Nov15 2015 and we would not be available for any services/care during this time. This is tentative right now, we will keep you posted. Pampered Pets & People LLC has earned the service industry’s coveted Angie’s List Super Service Award, reflecting an exemplary year of service provided to members of the local services marketplace and consumer review site in 2014. Women of Distinction Magazine Article – my page! It seems 2014 may well become known as ‘the year of the emerging woman’; rightfully so, and not a moment too soon! As more women continue to contribute to the global economic condition, women are being recognized as the game-changers we have always been. We appreciate the nod! From heads-of-state, Fortune 100 CEOs, inventors, entrepreneurs to stay at home/work at home moms, women are, indeed, making their mark, the mark the world so desperately needs to create balance in today’s world and for a brighter future for generations to follow. The International Women’s Leadership Association. We DO NOT believe in Kennels and Cages – therefore our Home Pet Day Care + Overnights will provide free roam in our home, secured fenced in yard play, group play when appropriate and your dogs will not be in a Kennel. We strive to provide your dogs with a home atmosphere and environment that they would get at their own home. “Home Away From Home” philosophy. We also will LIMIT the number of Dogs that we take in per day to ensure catered 1-1 attention and supervision, less noise, less risks and more human interaction on a daily basis. We do not plan on becoming a Commercial Boarding Kennel of Day Care, keeping it small and intimate, individualized 1-1 attention. - We have recognized the need to offer more options to our pet care services to cater to pets that need more interaction, thrive on group stay and play, require more supervision and care than what in your home pet visits can provide. - We will make an assessment with your pets to determine which option would be the least stressful and most beneficial to them. There is no one size fits all process when it comes to providing the best care possible for your fury loved ones and we want to offer options that are catered and best suited for them and you. - We have also received feed back from clients that would love more cost effective pet care while they travel so our in home Day Care + Overnights option will also provides a less expensive option for pet owners depending on number of pets that you have. - We will also be opening our home to fostering and rescuing dogs initially and still in the research process of doing that. - Kitty Kamp will be coming soon as well – where they will have both an indoor and outdoor play areas – Likely in 2015. Patricia Hunnybun has been chosen as a Woman Distinguishing entrepreneurial, ethical standards and dedication to the highest standards in her Industry and will be highlighted in a full page article in the upcoming fall issue with a subscription base of over 550,000 in print and virtual. We are honored to have the opportunity to share and highlight your professional achievements and future goals. The Women of Distinction Magazine is a publication designed to showcase the great women of the world who are making a difference in their profession and community. It is clear based on your selection that you are an industry leader based on exemplifying the qualities of Leadership, Citizenship, and Professionalism. Chosen by Bill Radford of The Gazette newspaper requesting to be interviewed for a story he is writing in next weeks column. His article subject is to highlight how pet owners with many pets and farm animals can be more aware, selective and understand the process of hiring pet sitting help when they have many animals. The interview was completed by phone and also highlighted areas of what makes a professional pet sitter, how can consumers be more selective and know how to research and what questions to ask. Patricia Hunnybun, Owner of Pampered Pets & People LLC was notified by the National Association of Professional Women that she has been selected and recognized with the Honor of: The NAPW Woman of the Year for 2014/2015 article will be coming in the next issue of National Association of Professional Women. On behalf of the National Association of Professional Women, we would like to commend you on your selection by the NAPW VIP Division as a 2014 NAPW Woman of the Year to represent your profession for your state. Congratulations on your outstanding leadership and commitment within your profession. Your expanded profile is published and linked to the NAPW homepage. Your biography will be made available to the media, press, as well as any other associations or societies to which you belong. This letter will serve not only as confirmation, but as a third party endorsement of your induction as an NAPW Woman of the Year. Best Wishes for your future endeavors. which is awarded to only 5% of all Angie’s List Reviewed Businesses. Pampered Pets & People LLC has earned the service industry’s coveted Angie’s List Super Service Award, reflecting an exemplary year of service provided to members of the consumer review service in 2013. Pampered Pets & People LLC is all about giving back. We ask our consumers, our community, neighbors and friends to trust our business and support us – and we strive to continually give back. The Golden Rule drives our personal and business life which includes giving, giving, giving whenever we can. So be assured, that when you trust and support our business – that you indirectly, through our contributions give back to community and help many others. We work to help as many as we can, as often as we can – Our Business is all about caring and passion with all! 2013 News Worthy – What are we up to? Pampered Pets & People LLC received a phone call from Angie’s List Rep Kyle to inform us that out of 57 Pet Care Providers Reviewed with Angie’s List in the Colorado Area, Pampered Pets & People LLC is one of the top 3 (three)! They are wanting to feature Pampered Pets & People LLC in the upcoming News Letter! Stay tuned for more information. Pampered Pets & People LLC is doing a fund raising campaign by donating 20% of all proceeds earned from July 1 – Sept 30, 2013 to the Black Forest Fire Victims who lost their homes. Article was published in the Black Forest News July 5 edition by publisher/writer Judy von Ahlefeldt. Pampered Pets & People LLC received a phone call from Angie’s List Representative “Kyle” who called to inform us that out of 57 Pet Care providers in the Colorado Area on Angie’s List, that Pampered Pets & People LLC is in the top 3 (three) of those and wants to feature Pampered Pets & People LLC in the upcoming Newsletters. Pampered Pets & People LLC volunteered their talents, time and services creating the Black Forest Business Group new logo and a Logo & Banner for the Black Forest Fire Department Fund Raising. The Black Forest Fire Department lost much of their equipment fighting the black forest fire. Fund raising booths were set up at the Monument July 4 Celebration. Pampered Pets & People LLC volunteered free support and services to Black Forest business group members who were affected by the Black Forest Fire. Pampered Pets & People LLC has volunteered their time and talents to Black Forest Animal Sanctuary providing free grooming services to cats and dogs that are in need of grooming and ready for adoption. Pampered Pets & People LLC will continue to offer these services for free pre adoption events. Pampered Pets & People LLC offered free handyman services to a local client who is buried under incredible vet expenses due to one of her dogs having Cancer, having to have a leg amputated, and needing on going Chemo Therapy. Patricia of Pampered Pets & People LLC is having a fund raising drive to also raise funds to help this family out with expenses and matches all donations 100% to provide ongoing pet sitting services. Fund raising efforts will continue through September 2013 and was highlighted in the Black Forest News article July 5, 2013. Pampered Pets & People LLC sponsored the local 2013 Kids Fishing Derby “Hooked on Monument Lake” through the Tri Lakes Chamber of Commerce providing funds and sponsorship that allowed Kids and their parents to fish without a license, receive free bait and fishing poles to keep! Sponsorship of the event is highlighted through the Tri Lakes Chamber of Commerce web site. Pampered Pets & People LLC joined the Black Forest Business Group, not only as business members but also volunteered as part of the Social & Community Committee and offered to Volunteer their service and talents creating a new Business Group Logo, Business Cards and Badges for Members. Appreciation and Recognition by the Board President Greg Howard and Vice President Dan Hagmaier. Pampered Pets & People LLC became Business Members of the Tri Lakes Chamber of Commerce in April 2013, and had their official Ribbon Cutting on May 30, 2013. Pampered Pets &Y People LLC and Owner Patricia were accepted into the National Association of Professional Women where professional women are dedicated to fostering a community where members connect, inspire and empower each other and share resources and benefits to enhance their personal lives, businesses and community. Pampered Pets & People LLC became Accredited Members of the Southern Colorado Better Business Bureau with an A Rating.